©Healy Racing Photos Wild Shot (7/4 into 11/8 favourite) brought up a hat-trick in the concluding LMFM Dual Race Night Friday 3rd May Handicap at Dundalk. Oisin Orr did the steering for owner Cathal McGuckin and trainer Noel Kelly and he led early aboard the So You Think gelding. Tracking the leaders thereafter, the winner was fourth at the halfway stage. Making headway approaching the straight, Wild Shot was pushed along to lead two furlongs out. 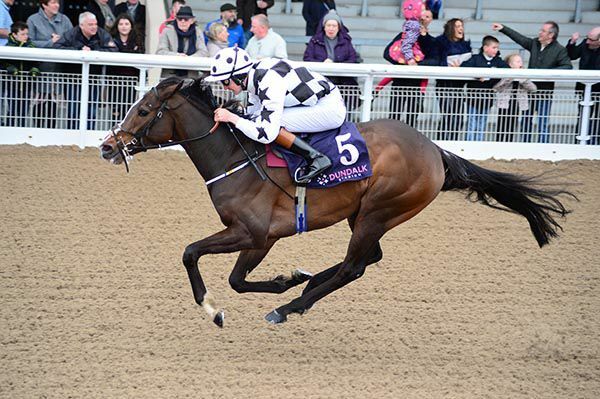 Ridden to assert over a furlong out the progressive five-year-old stayed on well inside the final furlong to slam Exclusive Waters by five and a half lengths. “I wasn't even going to run this week but we entered up and it looked a poor enough race,” said Kelly. “The plan was not to run him for three weeks. I spoke to Oisin during the week and he said I'd be mad to not run. Bar Sharjah there wasn't much in it and it's six grand prize-money. You might run all year and not get as bad a race so we decided to go for it. “He bounced back and was in good form. It looks as if he's still improving every day. To win three-in-a-row is not too bad. He's been in serious form at home. S. Foley, rider of Alpine Peak (USA) trained by Miss Natalia Lupini, reported to the Clerk of Scales that his mount lost its action going up the straight. 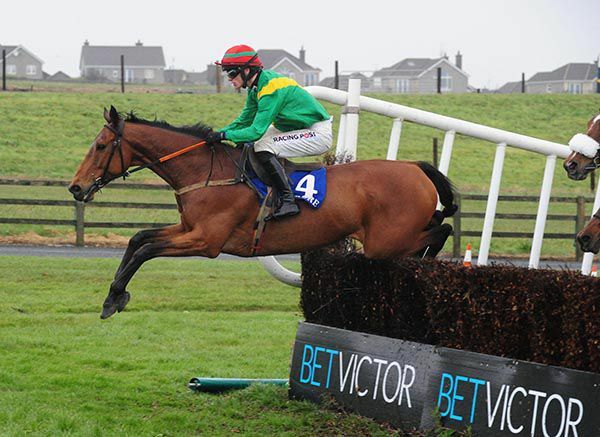 Bellgrove recorded his second course and distance success at Tramore, as he took the Kazbar Waterford @Tramore Racecourse Handicap Chase.